A two-day workshop from 04:00 PM - 07:00 PM on 28th & 29th June 2018. 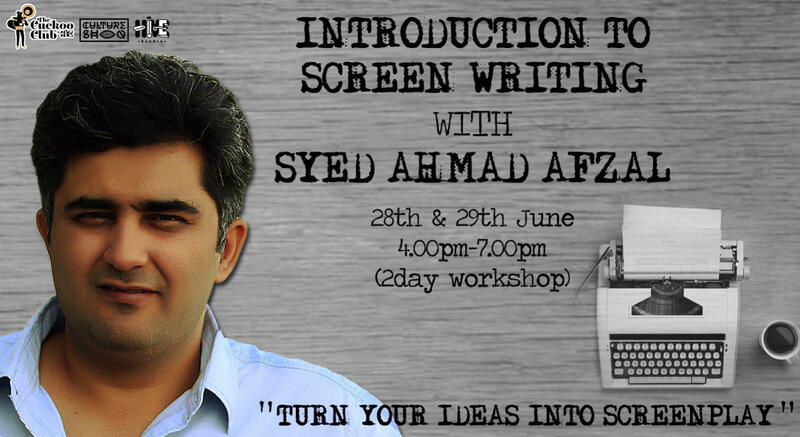 Learn to transform your ideas into screenplays. • Conflict – techniques to building greater conflict. • The structure of sub-plot. • Guidelines for pitching your script in the industry.